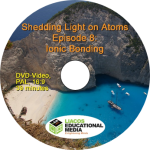 In Episode 8, Ionic Bonding, we look at how the atoms of metals bond with the atoms of non-metals with what are called ionic bonds. We show how atoms can gain or lose electrons (in chemical reactions involving metals and non-metals), and that the number of electrons gained or lost depends on an atom’s electron configuration. We finish by comparing ionic compounds with covalent compounds, and explain the difference, at the atomic level, between solids, liquids, and gases. 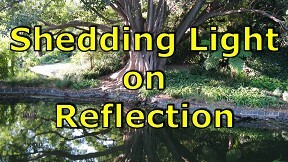 The preview video below contains a 5-minute excerpt followed by a 1-minute trailer. Part A: Introduction: Atoms are made of protons, neutrons, and electrons. Protons have a positive charge and electrons have a negative charge. In a pure sample of lithium metal, every atom has three protons and three electrons. Part B: Table Salt and the Ionic Bond: Ionic bonds form between the atoms of metals and of non-metals. Ionic bonding involves the transfer of electrons from metal atoms to non-metal atoms which results in the atoms becoming charged. The charged atoms, called ions, attract each other and bond together, thus forming an ionic compound. 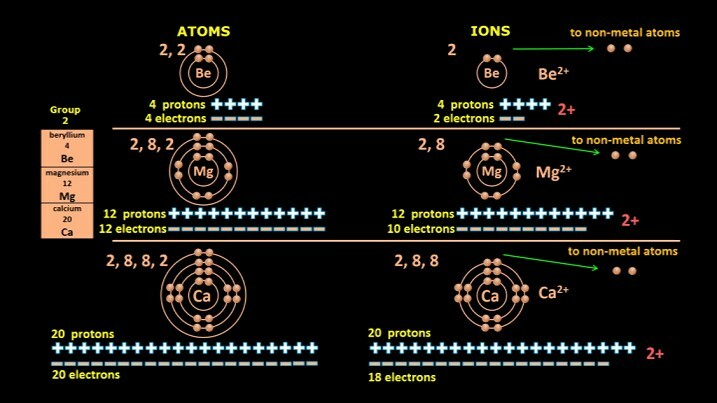 Part C: Periodic Trends: Atoms gain or lose electrons depending on their electron configurations. Part D: Working out Chemical Formulas: In NaCl, there is one Cl atom for every one Na atom, but in MgCl2, there are 2 Cl atoms for every one Mg atom. Why is this? Part E: Transition-Metal Compounds: Some metals only ever lose a specific number of electrons (Na atoms, for example, can only ever form Na+ ions), while others can form a range of ions (Fe atoms can form Fe2+ ions and Fe3+ ions). Part F: Polyatomic Ions: Some ions are made of more than one atom. 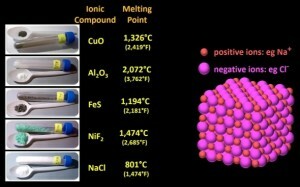 Part G: Ionic vs Covalent: Ionic compounds have really high melting points, and you’ll rarely see them in their liquid state. Covalent compounds, though, are very commonly found as liquids and gases at room temperature. Why? And what is the difference, at the atomic level, between a solid, a liquid, and a gas anyway? Atoms are the building blocks of all matter. Everything on Earth is made up of just 100 or so different types of atoms. Atoms themselves are made up of even smaller particles called protons, neutrons and electrons. All protons are positively charged, while all electrons are negatively charged. 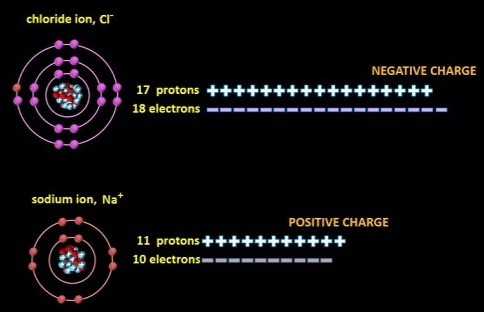 The positive charge on the protons is the same strength as the negative charge on the electrons. Neutrons don’t have any charge: they’re said to be neutral. The number of protons in the nucleus of the atom defines the type of atom that it is. For example, all lithium atoms in a sample of lithium metal have 3 positively charged protons. They also have 3 negatively charged electrons and so, overall, every atom is neutral, or in other words it has an overall charge of zero. 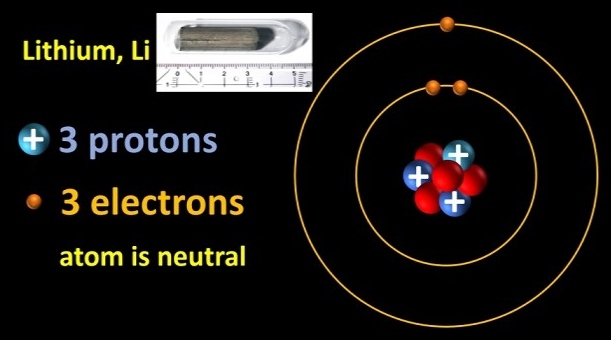 Most lithium atoms have 4 neutrons. The atoms of non-metals can bond covalently by attracting each other’s electrons until their outer shells are full. The outer shell is often called the valence shell, and the electrons in it are called valence electrons. 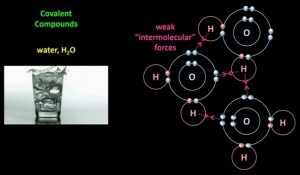 Covalent bonding is often described as a sharing of electrons, but it’s really more of a tug-of war. Groups of atoms which are joined by covalent bonds are called molecules, and they can be represented by electron dot diagrams or by structural diagrams. Molecules can be small, like H2O, N2, or CH4, or they can be quite large, like polyethylene plastic which is made of thousands of C and H atoms, and DNA, which is made up of millions of atoms. 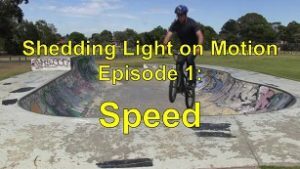 However, at about the same time that covalent bonding was discovered, experiments revealed that atoms can also form what are called ionic bonds with each other and it’s ionic bonding that we’ll be looking at in this episode. In the 1910s, Australian scientist William Bragg developed what is called X-ray crystallography. 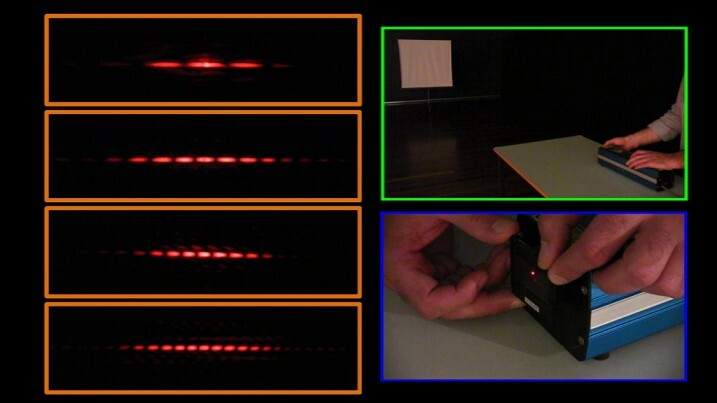 We’ve already seen how, if I shine a laser light through very narrow slits, the laser light produces patterns on a screen because of the way the light spreads out when it passes through the slits. The patterns vary depending on how far apart the slits are. Similar kinds of patterns are produced when X-rays pass between the atoms of a crystal. Analysing the patterns allowed Bragg to work out the structure of the crystal, that is, how the atoms were arranged in the crystal. In 1913, Bragg used X-ray crystallography to work out the structure of table salt, NaCl. Though it was commonly believed that compounds exist as small groups of atoms, he discovered that this was not the case for NaCl. NaCl, he reported, is not made of individual molecules of sodium atoms bonded to chlorine atoms. In fact, it’s made of rows and rows of alternating sodium and chlorine atoms arranged into a giant so-called lattice. This Na atom is bonded not just to one Cl atom, but to these four, and to the one behind it, which you can’t see, and if there was another layer, to one in front of it. Likewise, this Cl atom for example, is bonded to these four Na atoms, and also to the one behind it and if there was another layer, to the one in front of it. The atoms join together kind of like a long strand of magnets, but form a three dimensional lattice. The formula NaCl therefore, turned out to be simply a ratio of the atoms: for every one Na atom, there was one Cl atom. At first, it wasn’t immediately clear how the atoms bonded together. However, later in the 1910s, electron shells were discovered and scientists knew that the way electrons arrange themselves into electron shells was going to be a major factor. By the late 1910s, scientists knew that the electron configuration of sodium atoms was 2, 8, 1, and that of chlorine atoms was 2, 8, 7. In the early 1920s, Bragg conducted more experiments on NaCl and found that the electron configuration for the sodium atoms in NaCl may actually be 2, 8, (in other words they were all down one electron) and that the electron configuration of the chlorine atoms in NaCl may have been 2, 8, 8 (or in other words, they were all up one electron). Further testing confirmed this to be the case! 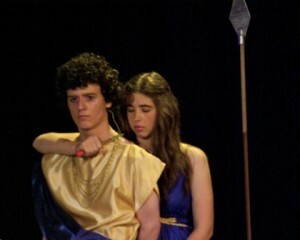 So what was going on? We saw how in a covalent bond, say between two hydrogen atoms, the nuclei of two different atoms attract each other’s electrons into their own electron shells and so a bond forms. 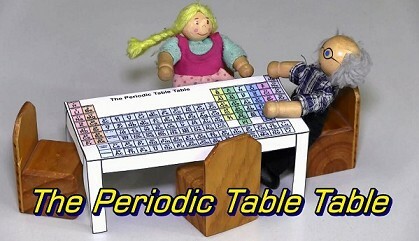 But this kind of bonding doesn’t occur with Na and Cl atoms in table salt. 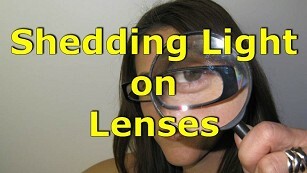 In the 1920s it was discovered what does occur! An Na atom has 11 positively charged protons and 11 negatively charged electrons, so overall it’s neutral, since the number of positive charges is equal to the number of negative charges. A Cl atom has 17 positively charged protons and 17 negatively charged electrons, so it’s neutral too. 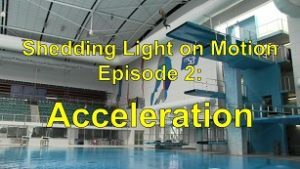 Now what happens when sodium reacts with chlorine? Let’s duplicate our atoms so we can get a before and after. When an Na atom comes close to a Cl atom, the Cl atom pulls on the outer electron of the Na atom, since it’s a relatively long distance away from the nucleus, and it becomes part of the Cl atom. Now the Cl atom has 17 positively charged protons but 18 negatively charged electrons, so it has an overall charge of one minus. Mathematically, combining 17+ and 18- gives one minus. It’s still an atom, but because it’s now charged, it’s called an “ion”. An ion is an atom which has either gained or lost electrons. We say that the chlorine, or Cl, atom has become a Cl– (pronounced Cl minus) ion and we write a minus sign as a superscript to indicate the charge. It also gets a name change from chlorine to chloride, so the Cl– ion is called a chloride ion. Its electron configuration is now 2, 8, 8. The Na atom on the other hand has 11 positively charged protons but now has only 10 negatively charged electrons. So, we say that it now has an overall charge of 1+. It also has become an ion, but a positively charged ion. We call the ion an Na+ ion or a sodium ion; metal atoms don’t get a name change when they turn into ions. Its electron configuration is now 2, 8. Since the two atoms now have opposite charges, they attract one another and form a bond, specifically, what’s called an ionic bond, since it forms between two ions. When there are lots of them, which is always the case, they form a giant lattice. 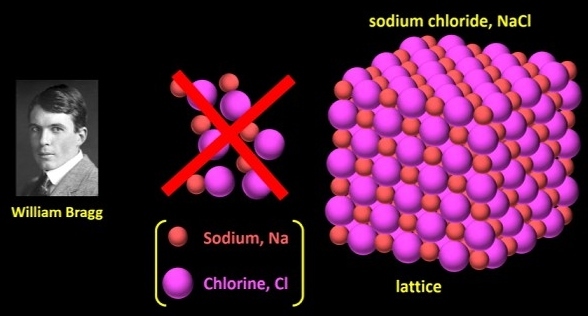 I said earlier that the lattice is made of alternating sodium and chlorine atoms, which is true, but it’s probably more descriptive to say that it’s made up of Na+ ions and Cl– ions, because the atoms are actually charged. Remember, an ion is an atom that has either gained or lost electrons. A compound that is made of ions which are bonded by ionic bonds is called an ionic compound. And why does each atom in this case lose or gain only one electron? 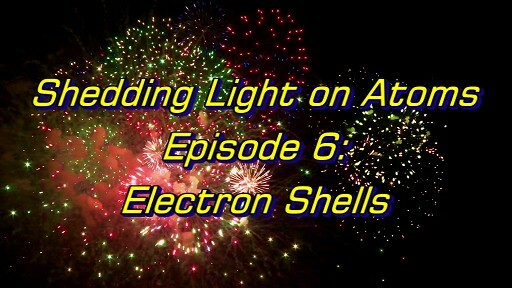 When the Na atom loses an electron it ends up with 8 electrons in its outer shell, and when the chlorine atom gains an electron it too ends up with 8 electrons in its outer shell. Eight, once again, just seems to be a particularly stable number. Other atoms can lose or gain more than one electron. It depends on the electron configuration of the atom. 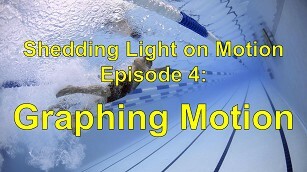 More about this soon. If a whole bunch of Na+ ions somehow did come together, they would just push each other apart, because they all have the same charge. Sodium chloride is just one ionic compound; there are many many others. For example this is potassium chloride, which is used for, among other things, making fertilizers. 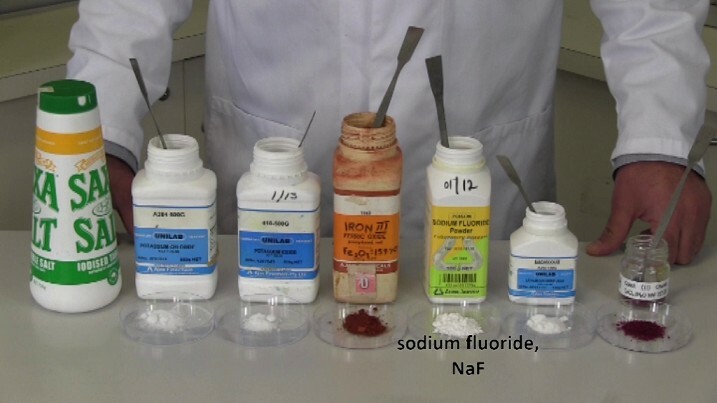 This is sodium fluoride, which is often added to drinking water by water companies to help prevent tooth decay. Ionic compound with chloride ions in them are called chlorides. All of these compounds are chlorides. 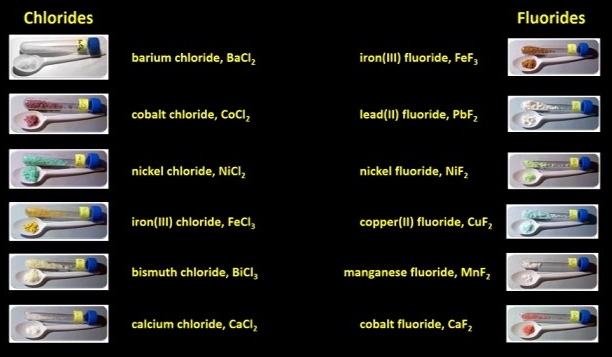 These ionic compounds are all fluorides. The Earth’s crust, that is the relatively thin layer of rocks beneath our feet that makes up the surface of the Earth, is made up in large part of oxides. Ionic bonds generally only form between the atoms of metals and non-metals and ionic compounds are named by stating the positively charged metal ion first followed by the name of the negatively charged non-metal ion. The non-metal ion, as I said, gets a slight name change. In contrast, covalent bonds usually only form between the atoms of non-metals, including metalloids, and compounds like water, ammonia, and methane for example are called either covalent compounds or molecular compounds, since they are made up of molecules. Now a fairly common mistake that students make when they’re studying ionic bonding is to think that if an atom gains an electron, it ends up with charge of 1+ because it’s up one electron. This is completely wrong, because electrons have a negative charge. If, before, I was a neutral atom, I now have a charge of 1-. If an ion has more negative electrons than positive protons, it’s got an overall negative charge, and if it’s got more positive protons than negative electrons it’s got an overall positive charge. A charge of minus one or plus one doesn’t refer to the electrons themselves but to the overall charge on the atom. 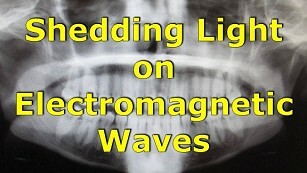 Losing electrons makes atoms positive, while gaining electrons makes them negative. 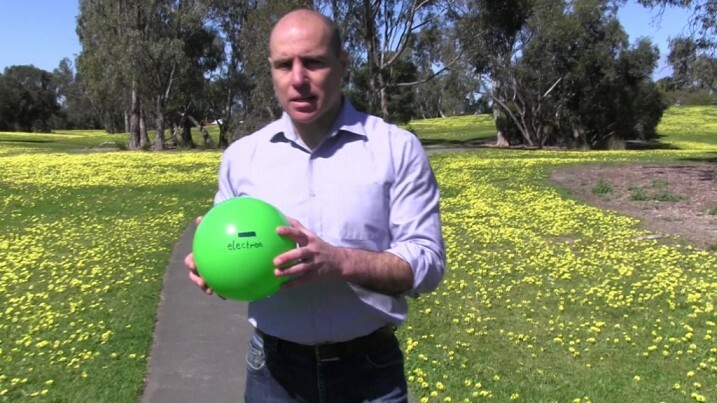 And, just to be absolutely clear, the number of protons in an atom’s nucleus never changes in a chemical reaction. Chlorine atoms and chloride ions, for example, always have 17 protons locked up tightly in their nucleus. An atom’s electron configuration plays a major role in how it chemically reacts, and atoms within each main group of the Periodic Table react in a similar kind of way, since they have the same number of outer shell electrons. 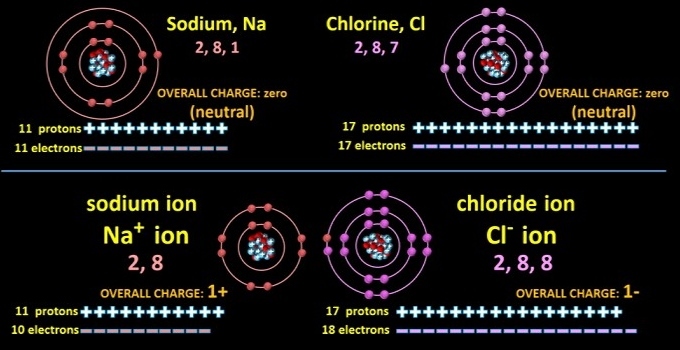 Let’s look at how some of the atoms of the Group 1 elements react with chlorine atoms starting with Na, the one we’re familiar with. Since the electron configuration of sodium is 2, 8, 1, it only ever loses one electron to another atom when it chemically reacts and it ends up forming, as we’ve seen, an Na+ ion with a stable electron configuration of 2, 8. Likewise, when potassium reacts with chlorine, only one electron is lost by the potassium atom and it ends up with an electron configuration of 2, 8, 8. Once again eight electrons in the outer shell makes for a stable arrangement. The potassium atom becomes a K+ ion, having 19 protons, but only 18 electrons. 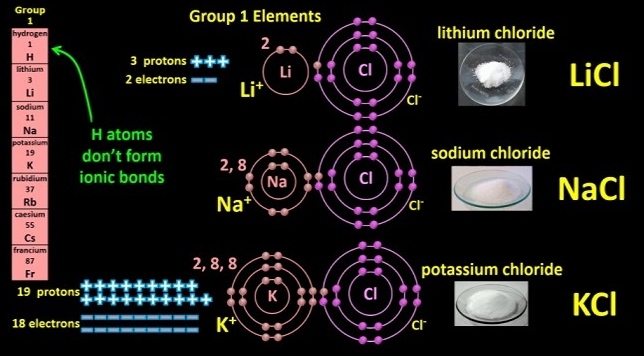 Lithium also only ever loses only one electron and turns into an Li+ ion, having 3 protons, but only two electrons. It now has only one electron shell, which is full, so it’s stable, as long as it remains close to a Cl– ion. The formulas for lithium chloride, sodium chloride and potassium chloride are LiCl, NaCl, and KCl, although remember, the atoms in ionic compounds join up in a 3D lattice. Rubidium, Caesium and Francium also form ions with a single positive charge. Hydrogen is the odd one out. While atoms of hydrogen can and often do become H+ ions, they don’t form ionic bonds with non-metals, but rather covalent bonds, as we saw in our last episode. The atoms of the elements in Group 2 have two outer-shell electrons. I’ll double them up so that we can again get a before and after. When they chemically react with non-metals they lose both of their two outer-shell electrons to the non-metal atoms (which I’m not showing here), whereupon they end up as ions with full outer shells, 8 for Mg and Ca and 2 for Be. Since they end up with 2 more protons than electrons they are said to have a charge of 2+ and become Be2+, Mg2+ and Ca2+ ions. Group 13 elements have 3 outer-shell electrons. 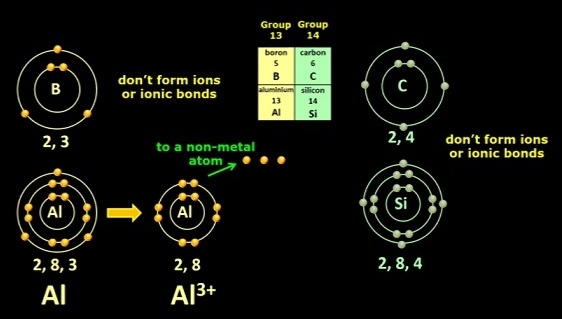 Boron atoms, don’t actually form ions or ionic bonds, they only forms covalent bonds with other atoms, but Al atoms form Al3+ ions when they react with non-metals, which leaves them with 8 electrons in their outermost shell. The atoms of the Group 14 elements carbon and silicon also, like boron atoms, don’t form ionic bonds with other atoms, but instead form only covalent bonds. These atoms would simply be too unstable and reactive if they gained or lost 4 electrons. 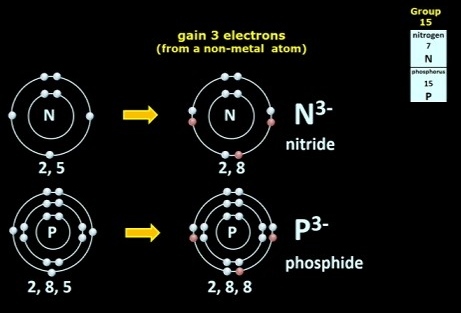 The non-metal atoms of Group 15 like nitrogen and phosphorus have five outer shell electrons so, when these atoms react with metal atoms, they usually gain three electrons, after which they end up with 8 electrons in their outer shells, and become N3- and P3- ions. It’s more stable for atoms that already have five electrons in their outer shells to gain three electrons to achieve a stable outer shell than it is to lose five electrons. The ions are named nitride and phosphide. 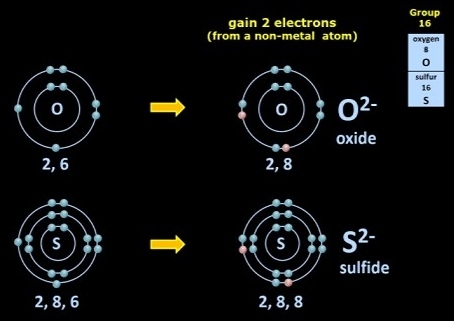 The group 16 elements like oxygen and sulfur have six outer shell electrons, so they acquire 2 more when they react with metals and O2- and S2- ions are produced. They get a name change to oxide and sulfide, and they too end up with eight outer-shell electrons. The Group 17 elements, with 7 outer-shell electrons, acquire only one electron from any metal atoms that they react with and so they end up with a charge of 1-. F becomes F–, Cl, as we’ve seen, becomes Cl–, and so on. The Noble Gases already have stable outer shells so they don’t chemically react at all. With anything. 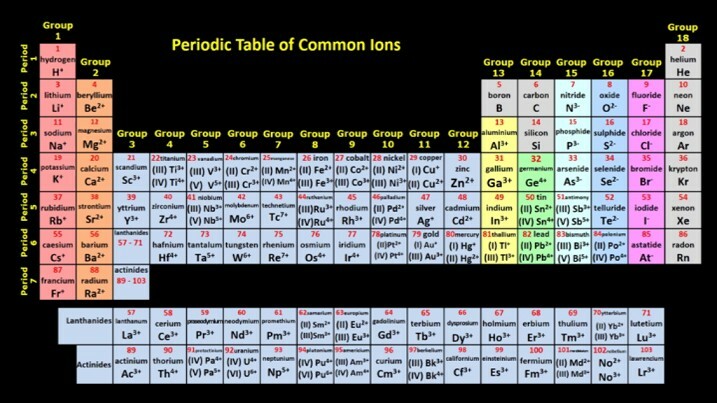 This periodic table shows all the ions which each element can typically form. Looking at the first 20 elements, we can see a clear pattern, which follows the pattern in the electron configurations of the atoms. 1+, 2+, 3+ although not for boron because it doesn’t form ions, and then leaving carbon and silicon atoms out because they also don’t form ions, we get 3-, 2-, and 1-, and I suppose zero if we include the Group 18 elements. Unfortunately, there is no clear pattern in the way transition metals and these post-transition metals become ions, and many of them in fact can form a range of ions, depending on the conditions. When copper atoms for example react with non-metals they can form either Cu+ ions or Cu2+ ions, while nickel atoms can become Ni2+ ions or Ni3+ ions. I’ll explain what the bracketed Roman numerals mean a little later. Most of the transition elements don’t actually end up with eight electrons in their outer shells when they become ions, but they are never-the-less quite stable when they bond to negatively charged non-metal ions. 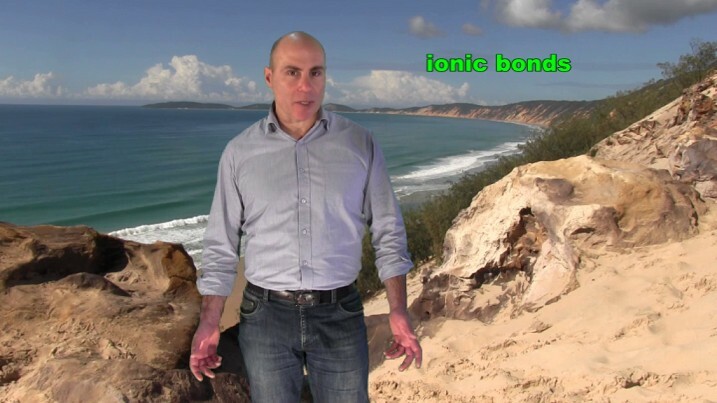 Now you don’t have to memorize any of the ions, of course. In a test, say, you’ll be given a table of all the ions that you need. By the way, positively charged ions are called cations, while negatively charged ions are called anions. (The “cat” of the word cation means “down” in Greek, as in cataclysm; a heavy down pouring of rain. A cation is down on electrons. The “an” of anion means “up” in Greek as in anabolic steroid; a chemical that helps build up muscle. Anions are up on electrons. One student of mine once said that she associates anions with the word onions. 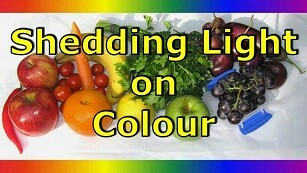 Onions make you cry which is negative, so anions are negative! You can download this transcript as a pdf here and the Question Sheet as a pdf here. 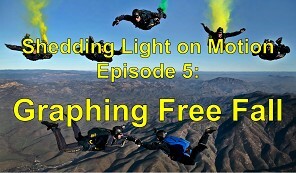 While the text and pictures present the ideas reasonably well, nothing beats watching the actual program! 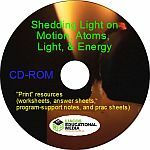 Grab the entire eight-part Shedding Light on Atoms Series for only $239.92. Part D: Working out Chemical Formulas. Working out the chemical formula of ionic compounds is fairly easy if you know the charge on the ions. 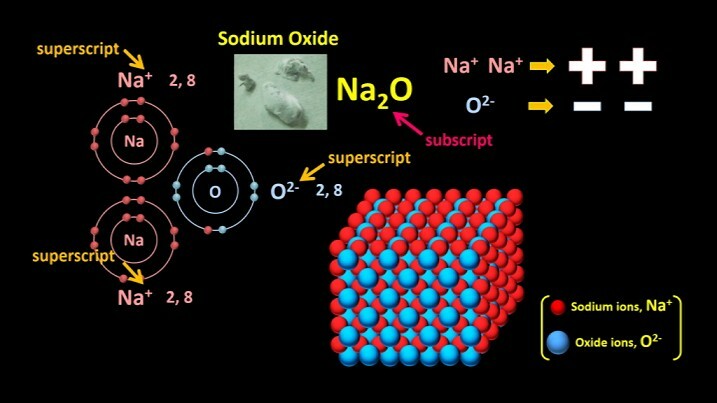 Let’s look at sodium oxide, the light grey stuff that forms when sodium reacts with oxygen. If a sodium atom and an oxygen atom collide, the oxygen atom pulls an electron away from the sodium atom which becomes an Na+ ion. However, the oxygen atom still has only seven outer-shell electrons. It then pulls another electron away from another sodium atom and it becomes an O2- ion. 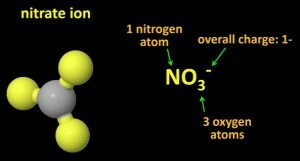 Because they are charged, the Na+ ions bond to the O2- ion. This arrangement is stable because all the ions have 8 electrons in their outer shells, and the total amount of positive charge is equal to the total amount of negative charge. Two Na single +s makes two pluses, and one O2- makes two minuses. The formula for sodium oxide is therefore Na2O. When ionic compounds form, the charge on the positive ions has to exactly balance the charge on the negative ions, so the ratio of positive ions to negative ions is determined by the charge on each ion. However, as I said earlier, the ions don’t join up in small groups or molecules, but rather in a continuous 3D lattice. 4Na + O2 → 2Na2O. In magnesium chloride, MgCl2, which is used in the production of magnesium metal and fertilizers for example, there are two non-metal atoms for every one metal atom. If a chlorine atom bumps into a magnesium atom, it will attract an electron away from the magnesium atom and it will become a chloride ion. However, the magnesium atom still has one electron in its outer shell. This electron is in fact attracted away by another chlorine atom. Now the magnesium ion’s electron configuration is 2, 8, and it’s written as Mg2+, while each chloride ion, written as Cl–, has an electron configuration of 2, 8, 8. 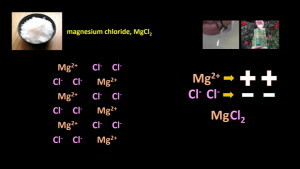 The Mg2+ ion and the Cl– ions bond in a stable arrangement: each ion has 8 outer-shell electrons AND the total amount of positive charge, 2+ in this case, equals the total amount of negative charge, because 2 single minuses equals 2-, and that’s why magnesium chloride’s formula is MgCl2. 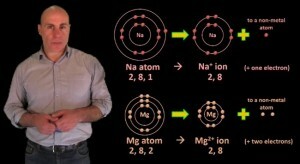 When trying to explain ionic bonding people often say that, for example, every magnesium atom wants to give away two electrons so that it can end up with eight electrons in its outer shell, while every chlorine atom wants to gain 1 electron so that it can end up with eight electrons in its outer shell as well. They bond together to achieve their desires. It’s actually a convenient way of thinking about it, but just remember that atoms are just atoms; they don’t really want anything. There are simply forces of attraction and repulsion between protons and electrons, and atoms bond either with ionic bonds or covalent bonds until the forces all kind of balance out. As I said, ionic bonds typically form between the atoms of metals and non-metals, while covalent bonds typically form between the atoms of non-metals. 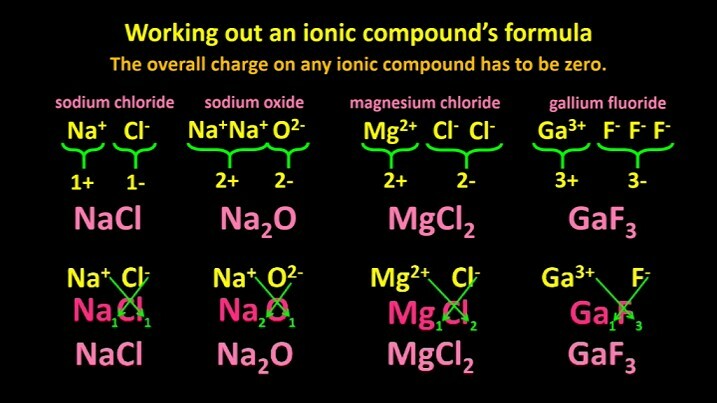 So, now that we’ve seen all the electron shells losing or gaining electrons, let’s work out an ionic compound’s formula using just each ion’s known charge. Now I’ll say it again: the overall charge on any ionic compound has to be zero. Let’s look at sodium chloride. Since sodium ions have a charge of one plus, and Cl– ions have a charge of one minus, it makes sense that they have to join in a 1:1 ratio, so that the charges balance out. 1+ and 1- makes a total of zero, so the formula is NaCl. As I said, when you write the formula, you don’t show the charges on the ions; they get left out. 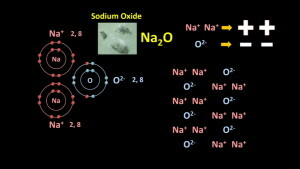 In the case of sodium oxide, since sodium ions have a charge of 1+, and oxide ions have a charge of 2-, it takes two sodium ions to balance out the double minus charge of each oxide ion [Na+ Na+ O2-]. 2 pluses and 2 minuses make an overall charge of zero. The formula is therefore Na2O. Magnesium chloride? 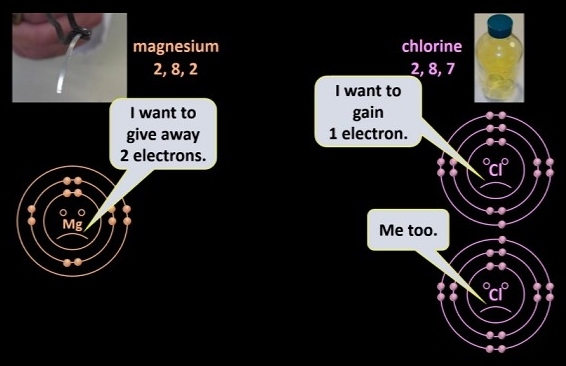 If magnesium atoms form Mg2+ ions when they react with chlorine atoms, which become Cl– ions, it follows that it takes two Cl– ions to bond to every one Mg2+ ion, [Mg2+ Cl– Cl–] so that, overall, the charges balance out. The formula is therefore MgCl2. The mathematics of it all is really quite easy. Gallium fluoride? Gallium atoms produce Ga3+ ions, so when Gallium reacts with fluorine, the atoms of which produce F– ions, then you need 3 F–s (F minuses) for every one Ga3+. Gallium fluoride’s formula is GaF3. Now while it’s easy enough to use some simple maths as I’ve just done to work out the formulas of ionic compounds, a neat little trick is to cross over the charges. Looking at NaCl first, the 1+ here becomes a 1 here, and the 1- here becomes a 1 here. Na1Cl1, or simply NaCl. In the case of sodium ions and oxide ions, the 1+ here becomes a 1 here while the 2- here becomes a 2 here. You don’t need to write the number one, so the formula becomes Na2O. You can do the same thing with magnesium and chloride ions to get MgCl2, and gallium and fluoride ions to get GaF3. Magnesium oxide, which is often used as a lining material in iron foundries and kilns because of its extremely high melting point (2,852 °C; 5,166 °F) is made of Mg2+ and O2- ions. The positive and negative charges will balance out if the ions are in a 1:1 ratio, so the formula is MgO. 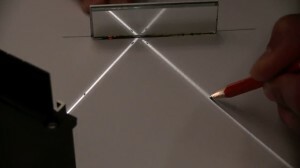 You have to be a little careful if you use the crossover technique, because it leads to the formula Mg2O2. For ionic compounds though, you always use the simplest ratio of atoms, which in this case is MgO. The atoms that make up the Group 1 elements always form ions with a single positive charge, while the atoms that make up the Group 2 elements always form ions with a double positive charge. We’ve seen, however, that many atoms can form a range of different ions. Copper, for example, can form Cu+ or Cu2+ ions. This ionic compound is made of Cu+ and O2- ions and its formula is Cu2O, while this ionic compound is made of Cu2+ and O2- ions and has the formula CuO. We could call both of them copper oxide, but that would be a little confusing. 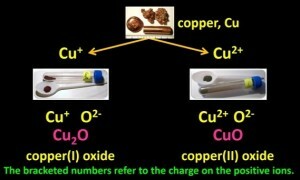 To distinguish between the two copper oxides scientists have come up with a simple naming system. The first one with the Cu1+ ions is called “copper(I) oxide”, since the Cu ion has a charge of 1+. The capital letter “I” is the number one in Roman numerals. The second one is called copper(II) oxide, since the charge on the Cu2+ ions is 2+. Two “I”s is the number two in Roman numerals. The bracketed numbers refer to the charge on the positive ions. Brilliant! They’re only ever used, however, with metals that form more than one ion. You never need to write, for example, sodium(I) chloride, because Na atoms can only ever turn into Na+ ions. Sodium chloride will do. Tin atoms can form Sn2+ ions and Sn4+ ions. 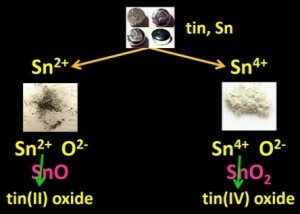 The oxide on the left, made up of Sn2+ and O2- ions is called tin(II) oxide, while the one on the right, made up of Sn4+ and O2- ions is called tin(IV) oxide. 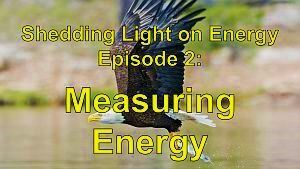 The bracketed numbers, once again, indicate the charge on the positive ions. 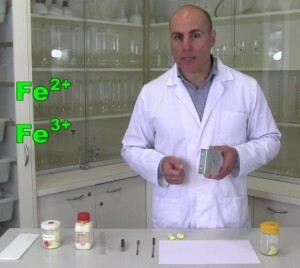 Iron atoms can also form two different ions: Fe2+, and Fe3+. When they react with sulfur atoms, Fe2+ is more commonly formed and iron(II) sulfide is produced as a result. Let’s actually take some iron and some sulfur and get them to chemically react to produce iron(II) sulfide. If I simply mix some powdered iron with some powdered sulfur, no chemical reaction takes place. I’ve simply made a mixture of the two elements. 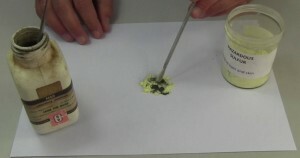 I can easily separate the iron from the sulfur with a magnet, because the atoms haven’t actually bonded. However, if I mix the powdered iron… and sulfur… in a test tube and then heat them up, the atoms vibrate faster and faster until they crash into other with enough force for a chemical reaction to occur. The sulfur atoms are each taking up two electrons from each of the iron atoms and Fe2+ and S2- ions are forming, which bond to produce FeS. This is what a pure sample of iron(II) sulfide looks like. Iron is magnetic of course, but iron(II) sulfide isn’t attracted by the magnet. In fact iron(II) sulfide has nothing in common with either iron or sulfur because, the iron atoms and the sulfur atoms have chemically reacted and a completely new substance has formed. Remember, whenever any chemical reaction takes place, the product or products of the chemical reaction, in this case the compound FeS, have completely different properties to the reactants that you started with, in this case the elements iron and sulfur. When iron chemically reacts with oxygen, rust is produced. 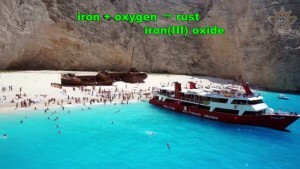 Rust is basically iron(III) oxide, although rusting is a fairly complicated process, and it involves water molecules. Once again, rust, the product of the chemical reaction has nothing in common with either iron or oxygen. To prevent rust, you have to keep iron and steel dry. So, even though we’ve previously discussed what elements, compounds and mixtures are, let’s take one more quick look at the definitions. An element is made up of only one type of atom: iron and sulfur for example are elements. A compound is a substance made up of two or more different types of atoms which have chemically bonded together either with ionic bonds to form an ionic compound, like iron(II) sulfide, or with covalent bonds to form a covalent compound (which can also be called a molecular compound), like water. A mixture is just a blend of two or more substances that haven’t chemically joined together. The proportions of the substances that make up the mixture can vary. This powder contains sodium hydroxide, NaOH, an ionic compound that is used as a drain cleaner. If your drain pipe is blocked by say fat deposits, you pour some granules down the pipe and the NaOH slowly dissolves the fat. It can also eat away your skin, so you have to be very careful when you use it. Sodium hydroxide also has many other uses in various chemical industries. 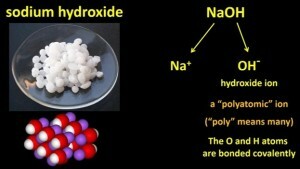 Notice that sodium hydroxide has two non-metal atoms: O and H. The Na is actually Na+, but the O and the H form a single unit, called a hydroxide ion, which has a single negative charge. It’s an example of a “polyatomic ion”. Poly means “many” in Greek, so a polyatomic ion is an ion made of more than one atom. The O and H atoms are actually bonded covalently. Like all other ions, hydroxide ions don’t exist on their own; they have to be next to positively charged ions, so that, overall, the positive charges and negative charges are balanced. To work out the chemical formulas of ionic compounds that have polyatomic ions in them, we have to once again simply balance the charges. 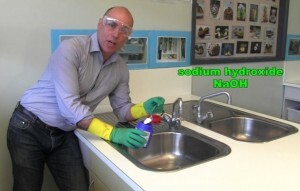 Na+ and OH– must combine in a 1:1 ratio to produce sodium hydroxide. 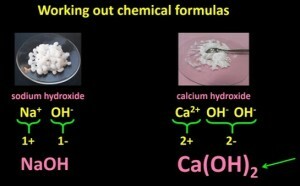 Let’s look at calcium hydroxide though. Calcium ions have a charge of 2+, so you need 2 OH–s for every 1 Ca2+. If we wrote the formula like this (CaOH2) it would be a little unclear, so to indicate the presence of 2 OH– ions, brackets are used: Ca(OH)2. The number 2 refers to everything inside the brackets. To read this formula you simply say Ca OH 2. Polyatomic ions are very common. Compounds containing the nitrate ion, NO3–, are important ingredients in many fertilizers and they’re used to make explosives. The nitrate ion is made of 1 nitrogen atom and 3 oxygen atoms which are covalently bonded to one another, and it has an overall charge of 1-. The 3 subscript refers to the number of oxygen atoms, while the minus sign written as a superscript refers to the overall charge on the polyatomic ion. 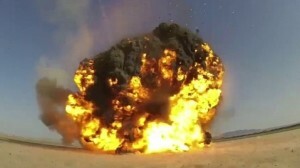 So what’s the chemical formula of potassium nitrate, an ingredient in gunpowder? K+ ions and NO3– ions have to combine in a 1:1 ratio to balance the charges, so its formula is KNO3. 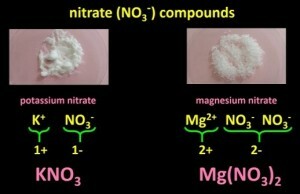 What about the formula of magnesium nitrate? 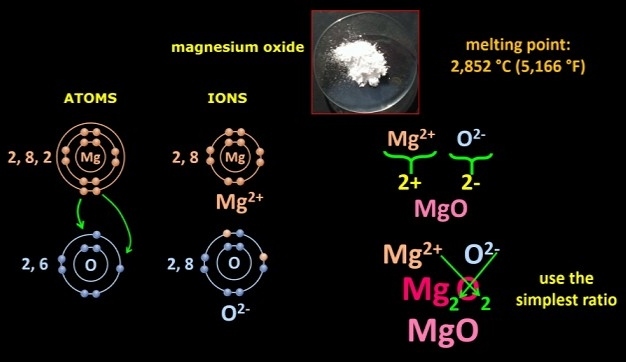 Since Mg ions have a charge of 2+, you need two NO3– s, for every one Mg2+. It’s formula is therefore Mg(NO3)2. Note the use of the brackets in this example. There are many examples of polyatomic ions. Most of them are negatively charged, but the ammonium ion is an important polyatomic ion which is positively charged. We’ve looked at only fairly simple ionic compounds in their pure form, but rocks, concrete, and ceramic materials like tiles are made of complex mixtures of a range of different ionic compounds (along with silicon dioxide, SiO2, which is a covalent compound). Now that we’ve covered both ionic compounds and covalent compounds, let’s look at some important differences between the two of them. Ionic compounds, a few examples of which I’m showing here, usually have really high melting points and so they are all solids at room temperature. However, covalent compounds usually have low melting points and many of them are gases or liquids at room temperature. 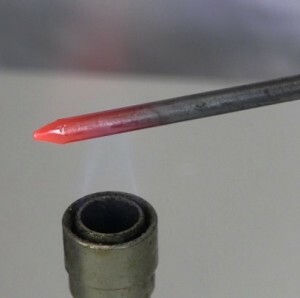 There are plenty of solid covalent compounds, like wax and sucrose, which is the technical name for sugar, but they also generally have low melting points. Wax melts at only about 60°C, so it melts in hot water. Sucrose melts at the slightly higher temperature of 186°C. For what it’s worth, toffee and caramel are made by heating it. 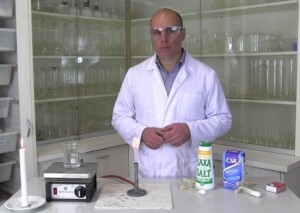 However, what happens when I heat sodium chloride in a test tube? 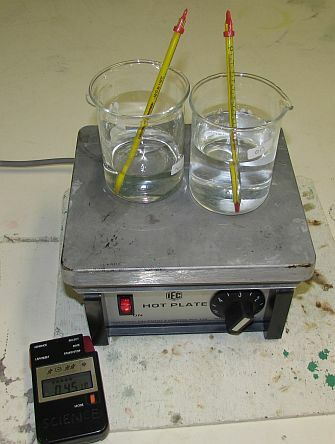 NaCl melts at a temperature of 801°C. Even after five minutes, the inside of the test tube just doesn’t get hot enough for the salt to melt, so it remains a solid! 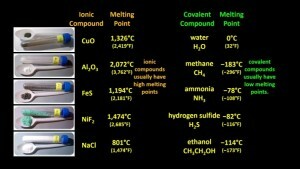 So why do ionic compounds usually have high melting points and why do covalent compounds usually have low melting points? Well it basically comes down to two things. Firstly atoms are made of protons and electrons and there’s always a force of attraction between protons and electrons. Secondly, atoms are constantly moving. The hotter something is, the faster its atoms move. At a simple level, in the case of a solid object made up of only one type of atom, the atoms move (or vibrate) slowly in fixed positions when the object is cold, but move (or vibrate) quickly in their fixed positions when it’s hot. Now this also applies to both covalent and ionic compounds, but the precise details for each of them are different, of course. 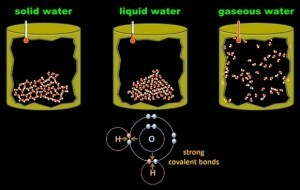 Let’s look at covalent compounds first, using water as an example. 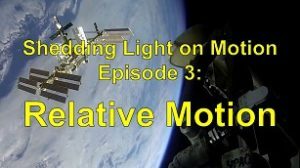 As we saw in out last episode, covalent bonds form because there are forces of attraction between the protons of one atom and the electrons of another atom. These forces of attraction are quite strong, and stable molecules form when the atoms have full outer shells. However, there are also weak forces of attraction between molecules, since the protons of one molecule still attract and are attracted by the electrons of another molecule. Though they’re weak, these forces still play an important role. When water is in the form of ice, below 0°C, the water molecules are constantly vibrating but they’re held in fixed positions because of the weak forces acting between the molecules. If we heat the ice, the molecules start to vibrate faster and faster. Eventually, they vibrate so quickly that they start to break free from the fixed positions that they’re in and they start to slide around each other. The ice melts and we now have liquid water. 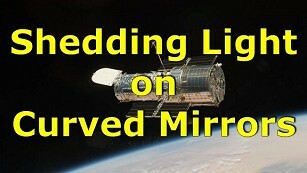 The molecules are still in contact with each other, but they’re free to move around. If we continue heating, the molecules vibrate faster and faster until they completely break free from each other and turn into a gas. In the case of water, we call it steam. Now whether the water is in the solid, liquid or gas state, the water molecules remain water molecules because the covalent bonds between the atoms in every molecule are very strong and keep the atoms bonded together. However, the so-called intermolecular forces of attraction between the water molecules are fairly weak, so it’s relatively easy to separate the molecules from each other by heating them. This is the reason that water, and most other covalent compounds, have low melting and boiling points. 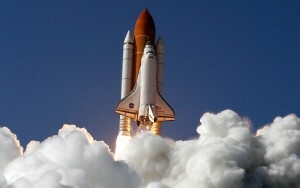 The melting and boiling points are determined by the forces of attraction that exist between the molecules. Now ionic compounds are not made of vibrating molecules but of vibrating charged ions arranged in a 3D lattice. The forces between the positive ions and the negative ions are really strong, or in other words ionic bonds are really strong. If you heat an ionic compound, the ions will vibrate faster and faster, but it’s very difficult to break the strong ionic bonds and so it’s very difficult to reach the melting point. Since the melting point of most ionic compounds is very high, you’ll rarely see them in their liquid state. The only fairly common example, arguably, is lava. Rocks are made in large part of ionic compounds and so lava contains a mixture of these ionic compounds in their liquid state. And while we’re on the subject of solids, liquids and gases, what about metals? 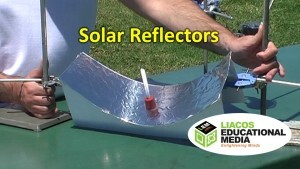 Most metals also have fairly high melting points. What keeps the atoms together? It turns out that the electrons in the outer shells of metal atoms don’t really stay with just one atom. Though, for example, sodium’s electron configuration is 2, 8, 1, the outer most electrons, being so far from the nucleus, actually move from atom to atom quite randomly as the atoms vibrate. 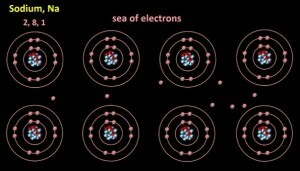 The atoms are held together because the nuclei of all the atoms are attracted to this so called “sea of electrons” which is all around them. 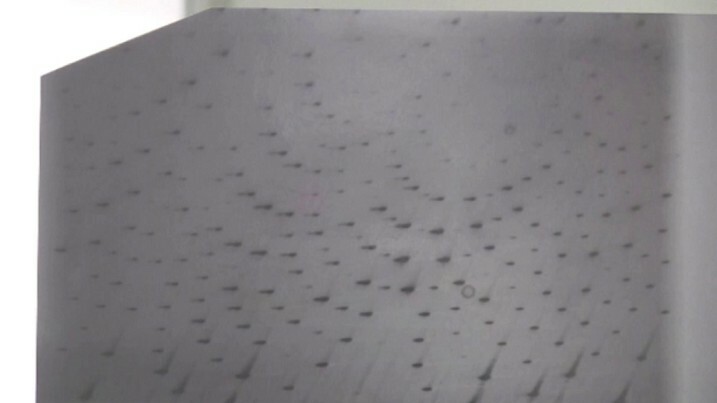 This attraction is called “metallic bonding”. As a result of metallic bonding, metals usually have fairly high melting points. 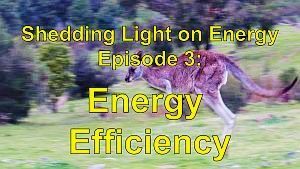 The fact that the outer-shell electrons of metals can move from atom to atom also explains why metals can conduct electricity. 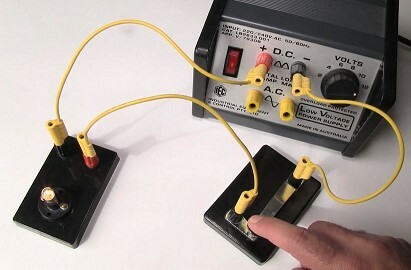 Electricity is the flow of electrons along a wire. And that pretty much covers the basics of atoms and of chemistry. Though there’s still a lot to learn, nearly everything you do learn from now on in this area will be based on the concepts and ideas that you’re now familiar with. 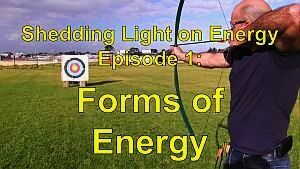 In this series, we’ve looked at chemical formulas, chemical reactions and chemical equations, at protons, neutrons and electrons and the structure of the atom, at the periodic table and how it organises the elements, and at how atoms bond together to form compounds. And of course, we’ve met some of the brilliantly clever and imaginative scientists who discovered these all-important concepts relating to atoms. Thanks in no small part to these scientists, our world has changed enormously in the past 200 years, and it will continue to change. What part will you play in it? See you next time. 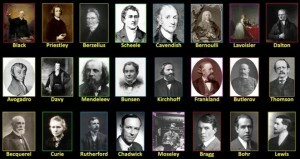 States of Matter: Basics created by PhET Interactive Simulations, University of Colorado, http://phet.colorado.edu. Licensed under CC BY 3.0 US. 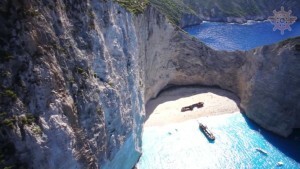 Video footage of Shipwreck on Navagio Beach, Zakynthos, Greece © http://www.cavogrosso.gr/ and Voutirakos Cruises. Used with permission. Photos of iron, tin, and copper © Heinrich Pniok. Used with permission. 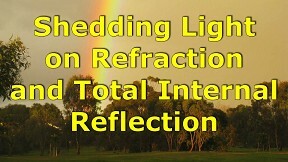 Visit http://pse-mendelejew.de/en/ to see more of his photos of elements, arguably the best on the internet. Thanks to the United States Geological Survey (USGS) for the lava footage. Sodium hydroxide burn.png (https://commons.wikimedia.org/wiki/File:Sodium_hydroxide_burn.png) by Blazius is licensed under the Creative Commons Attribution-Share Alike 3.0 Unported license. Thanks to the Chemistry Cultural Collection, School of Chemistry, University of Melbourne. Aluminium production footage courtesy of Alcoa. Iron production footage courtesy of Altos Hornos de México.